Happy Hip Hop everyone! It's the end of January already and CHA is upon us. Oh, how I love looking at all the new releases that are coming out! Have you checked out the Unity storefront to see all the BEAUTIFUL new cha releases? oh what FUN!! In 2012, and a few years late, I am joining the Project Life band wagon. I bought the Clementine Core Kit and immediately started to hunt around my Unity stash for gorgeous stamps to embellish the blocks that come in the core kit. There are SO many that are perfect to accent and embellish tags!! For my first week's entry (because I started just last week...) I am using the Sunshine Makes Me Happy kit. The scale is perfect for the tags, and the sentiments spot on for the project life type pages that I'm hoping to create this year. All year long I will be posting bits and pieces from my pages to show how I'm using my stamps to personalize the tags and spots. This is so much less stressful to do than full blown layouts because the goal of it is not to have anything match, but rather to capture life as its going on. I'll still do layouts, but I love the thought that if I don't, I will still have my year captured. Happy Hip Hop everyone! And Happy New Year! This had been one of my favorite Donna Downey stamps, now scaled for itty bitty size. Happy Hip Hop everyone! Its the last hip hop of 2011! What a wonderful year of inspiration and fun. 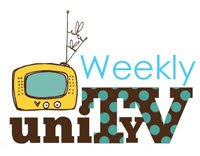 Thank you so much for joining us each week. I hope you all had a fabulous holidays, and that your 2012 will bring you all that you wish for. Today, I'm playing with the December 2011 Kit of the Month - Filled With Love. This is such a sweet sentiment - sisters rock, natural sisters, soul sisters, and every iteration in between. Oh my word! I can't believe it's December already! The year has flown by in a flash and we're right in the middle of my favorite time of year. How far along are you in your holiday shopping? I haven't started yet! And its right about now when I look at that big list of things I was going to make for gifts, and quickly start substituting purchased items. HAH. That's ok. My peeps know me. Today, I felt like coloring. And just because I love this stamp "Good Morning" so much, I had to use it again. This is copic coloring, with the image stamped in Memento Desert Sand. Many of the lines disappeared when I colored them, which forced me to get creative with shadows. If you don't have an ippity dealer, look here for a list of places where you can get this awesome set. Thanks for stopping by!! Enjoy the rest of your Tuesday. Happy Hip Hop everyone! I'm on my way to Atlanta for a business trip today. I wanted to make something warm and fuzzy before I went. I do like business trips but I'm always a bit torn leaving home. The Brandy & Emma "Good Morning" set was perfect to calm me and bring me some peace. Such a loving image. I'm still playing around with color pencil techniques. These are mostly prisma color. 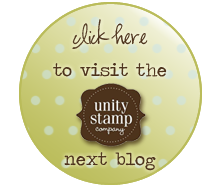 I am a proud designer for Unity Stamp Company. I am a proud past designer for Prima Marketing Inc., Lifetimemoments, Leave Memories, Rubber Romance Stamps, and Legacy Paper Arts. I have been a guest design team member for Little Red Scrapbook Company, Magistical Memories, and One Page At A Time. I have been published in the following books: The Joy of Scrapbooking, Digital Scrapbooking , Scrapbooking for the Time Impaired, Mother Goose's Guide to Scrapbooking your Baby (cover), The Kodak Book of Scrapbooking Your Kids, The Kodak Book of Scrapbooking Your Baby Memories. I have been published in the following magazines: Creating Keepsakes, Simple Scrapbooks, Memory Makers, Scrapbook Trends, Craft Life & Home Magazine, Cards Magazine, PaperArt, Correspondence Art, and Paper Works. All content, including text and pictures is ©Wendy Chang and is intended to be used for personal inspiration only. Any and all content may not be copied for publication or contest submission or otherwise without express written permission from me. I encourage you to visit www.creativecommons.org if you wish to search for work provided for use under license. Thank you! !